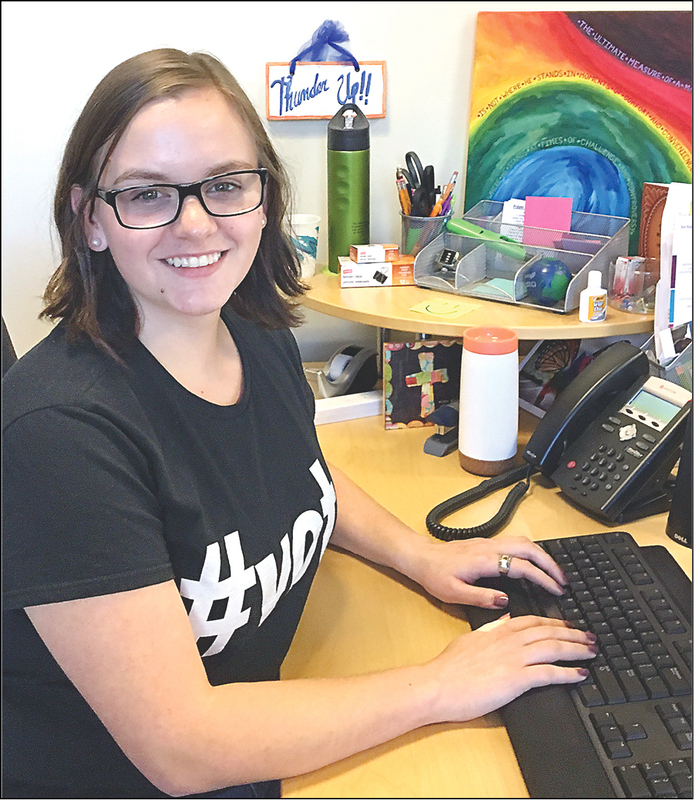 Mission interest leads young adult to D.C.
A recent graduate of Northwestern Oklahoma State University in Alva finds herself now at a ‌church in the nation’s capital, helping organize meals for people who are homeless or have trouble getting enough food. Stephanie Quammen, 24, is a Global Missions Fellow (US-2) for the General Board of Global Ministries. She is assigned to one of Metropolitan United Methodist Church’s five "pillar" programs: praising, learning, serving, caring, and sharing. The pillars create "ways for people within the church to kind of get involved in various ministries that appeal to them," she said. As coordinator of the "serving" pillar, Quammen helps the church’s kitchen ministry, which repurposes donated food from an organic market, a restaurant, and farmers’ markets. Her main roles are communication and recruiting volunteers. She is housed with other US-2s. "I love it; I think it’s wonderful. We are doing great work here. We really are radically hospitable." In 2015, Quammen earned a degree in English at NWOSU. She realized she felt a call to mission work. Sarah Nichols, director of the Oklahoma Conference’s Young Adult Mission & Service, suggested she might try becoming a US-2. While in Oklahoma, Quammen was a member of rural Prairie Chapel United Methodist Church, northwest of Ponca City. Worship attendance averaged 32 people in 2015. Metropolitan UMC is part of the Virginia Conference. Combined attendance is over 400 people per week at the Washington, D.C., church’s three campuses. There is a "large need" for the food turned out by the church kitchen, Quamman said. Metropolitan gets about 5,000 pounds of food per month and sends 1,500 meals a week out into the community. Examples of items created by the kitchen are stir-fry dishes, spaghetti, lasagna, and chicken, fish, and beef entrees. The menus also include roasted vegetables, banana bread, and apple crisp. For more information on joining the US-2 mission program, contact Sarah Nichols at snichols@okumc.org. The two-year GBGM program is for adults ages 18-30. Mission opportunities are available domestically and in other countries. Stephanie Quammen, a new Global Missions Fellow, works at her desk in Metropolitan UMC, Washington, D.C.